To help keep our cemetery looking its best, we ask that all non-permanent decorations (not including wrought iron hooks, hearts, etc.) be removed within 15 days after the holidays of Memorial Day, Fourth of July and Veterans Day. Following that time, Cemetery staff will remove and dispose of decorations. With your help, our staff can properly care for our grounds and grave markers. Thank you for helping keep McCook Cemetery clean and green. 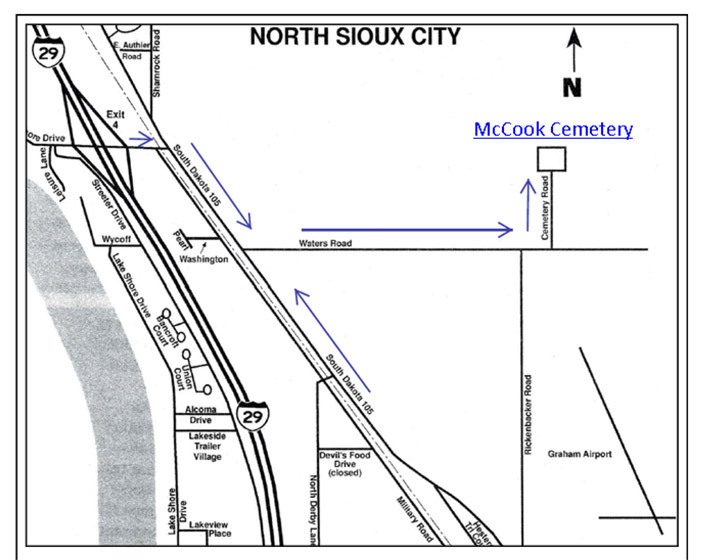 The McCook Cemetery Association is looking for a Cemetery Sexton as well as volunteers to serve as trustees on the Board. 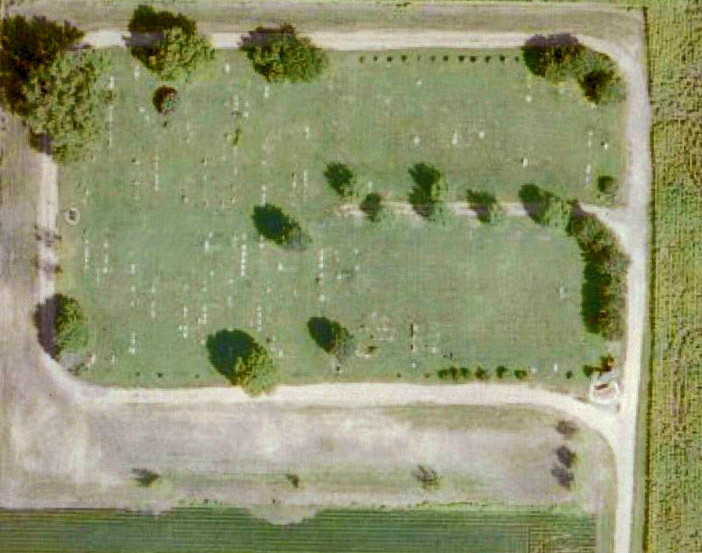 The Board is entrusted with the overall cemetery care, maintenance and improvements. The Sexton manages the finances, meeting minutes, cemetery database, and placement records, etc. All trustees must be residents of Union County. If interested, please mail a letter of interest to McCook Cemetery Association, 504 River Drive, North Sioux City, SD 57049. From North Sioux City: Head north on Highway 105. Turn east (right) onto Waters Road. At Cemetery Road turn north (left). From Exit 4 of I-29: Head east until you come to HIghway 105. Turn south (right) onto Highway 105. When you come to Waters Road, turn east (left). At Cemetary Road turn north (left). 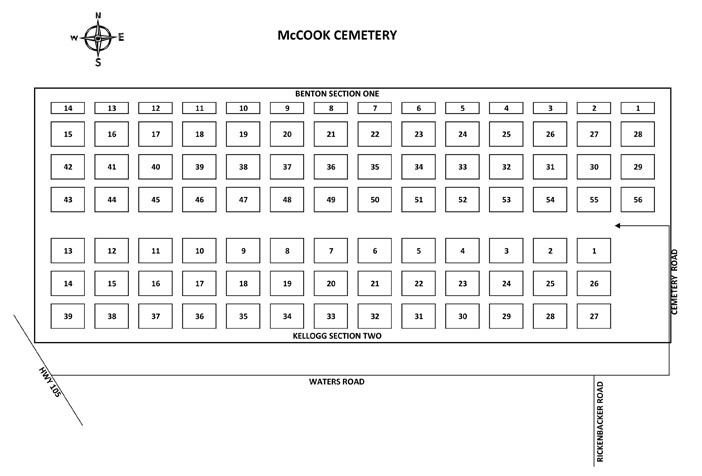 Click on the images below for a better view of the McCook Cemetery.